Storytelling has been a part of ancient human tradition for as long as we can remember. From paintings etched onto cave walls to modern bestselling novels found in bookstores, it remains an important part of human communication. Storytelling is effective in helping people remember things easily as it helps to paint a picture in their minds. It also often pulls on their emotional chords, helping them to relate better to one another. This is why some of the world’s biggest brands are the best storytellers. They’re able to package their brand stories in well-made, emotionally-packed and empathetic narratives. 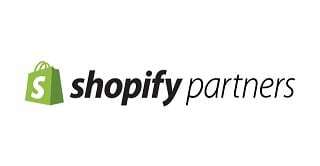 They deliver them in the form of marketing campaigns that allow them to touch upon their audiences’ sensitivities, creating a bond of friendship and reliability. There are plenty of things to learn from some of their most successful video storytelling campaigns. Emotion is a universal language. It makes it possible to enjoy music regardless of language. Empathy is the understanding and sharing of emotions between two individuals. Businesses that can create strong emotional bonds, as well as unique and authentic connections with consumers, have more than double their lead generation and conversion rates. When compared to rational and combined rational and emotional marketing, focusing simply on emotions in storytelling deliver the highest success rate for any campaign. Airbnb, the world’s leading property-sharing platform, always focused on the idea of “living like a local.” The chain’s objective to break the boundaries between travelers and countries to make foreign lands feel like home is manifested in their brand storytelling campaigns. They let the two sides of their customer chain, the property providers, and the bookers, to share a unique experience together. In this light, Airbnb positioned itself as a “friend” who refers you to this reliable fellow with a home who guarantees a great place to stay. In addition, the brand guarantees an experience you’ll both never forget. In its “Based on a True Review” playlist on YouTube, Airbnb has a collection of true stories from hosts and customers. One of the best ones includes a customer who got lost finding her initial host and ended up finding a new one and received the same great experience thanks to Airbnb. Given that hosts and customers are real strangers interacting directly with each other, the resulting stories in the videos show authenticity in the emotions and happiness felt by both parties in each video. When you say “Photoshop,” you cannot help but think of Adobe. The product name has become synonymous with photo editing and manipulation it has become a verb (just like the term “Google”). Adobe has marketed its products through instructional materials in the past, but its 2016 campaign featured the recreation of a nostalgic character: Bob Ross. Millennials, the generation adept at new and upcoming technology, had a penchant for nostalgia and liked the 80s recreational painting host’s show. Adobe was quick to move in on this trend. The brand did not cut corners in finding the most authentic and convincingly nostalgic way to implement its “Joy of Sketching.” It went as far as to use children’s book illustrator Chad Cameron to play the Adobe-style Ross and worked with Bob Ross Inc. to ensure the video measured up to the standards of the old recreational instruction videos. The idea was unconventional and broke the stereotype of car ads always being about speed and performance. It used the storyline to evoke warm and fuzzy feelings which helps to capture the customer’s attention and keep them watching. Instead of blatant advertising, director Lloyd Lee Choi wanted to create compelling content to make the brand more relatable to its customers. However, the emotional ride allowed the brand to evoke empathy in its consumers and like Maddie’s owner (or vice-versa) they will always be there looking out for their customers. No one will ever forget Nike’s famous tagline that won its seat amongst the biggest shoe brands in the world: “Just Do It.” The powerful tagline, coupled with inspiring stories, makes a shoe and sports brand capable of firing up inspiration in almost all its commercials. In one of its campaigns, the “No Excuses” commercial featured wheelchair basketball star Matt Scott. The top athlete who plays for the Warhawks was born with a condition called spinabinifida, making him wheelchair-bound. The video shows his story as he went on to lead the Warhawks to three national Wheelchair Basketball Association championships from 2004-2007 and having taken part in the Paralympics from 2004-2012. The message is clear from Matt in the video: if you want something, you’ll do everything. No excuses. It is another way of saying “just do it,” but just as powerful. TED Talks and Education’s style is to get an inspiring individual to share his or her struggles and explain the methods and mindset he or she has used to achieve success. If it’s not about an individual, they talk about different topics that encourage viewers to think. Their “Schools Kill Creativity” video raises the idea that a point system in class encourages a reward system rather than a learning system. Another video such as the “Power of Vulnerability” shows why weakness is as important as one’s strength. These fact-driven inspiring talks continue to gain views over the years, keeping viewers watching for longer, moving from one TED Talk to the next, or even sharing short clips with their network on social media. 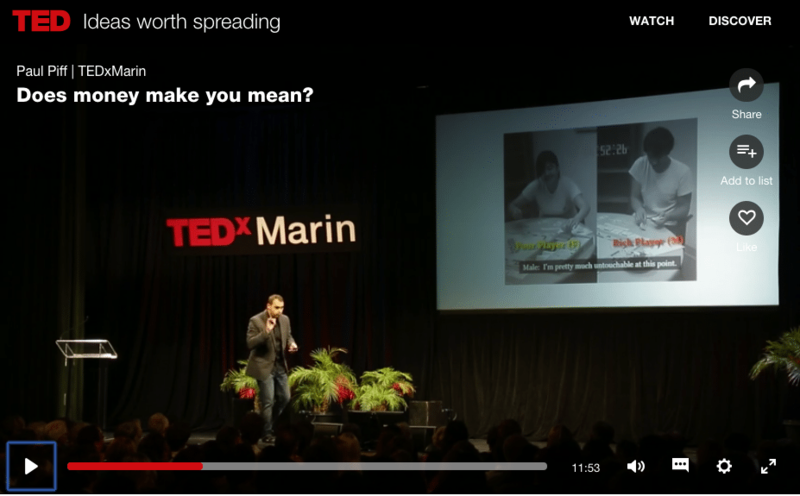 TED Talks truly inspire engaging and shareable content. In the United Kingdom, the Financial Conduct Authority (FCA) is not a brand name but a government body that regulates banking activity. In the last few years, the country’s bank industry plunged into disarray due to its oversight after millions of UK borrowers purchased an insurance policy they were ineligible for, egged on by commission-hungry bank employees. The surreal yet funny video definitely paid off because by April 2018, the campaign helped boost claims numbers by 40% according to the FCA. This shows that sometimes the strangest things burn a deeper impression into our minds. Usher’s “Chains” music video is an amazing example of its potential to become more than just a passive medium that you can play and pause at your heart’s content. Music videos aren’t exactly the first niche you would think of when it comes to ground-breaking video ideas. However, Usher and his team looked beyond the idea of using images to spread his message. 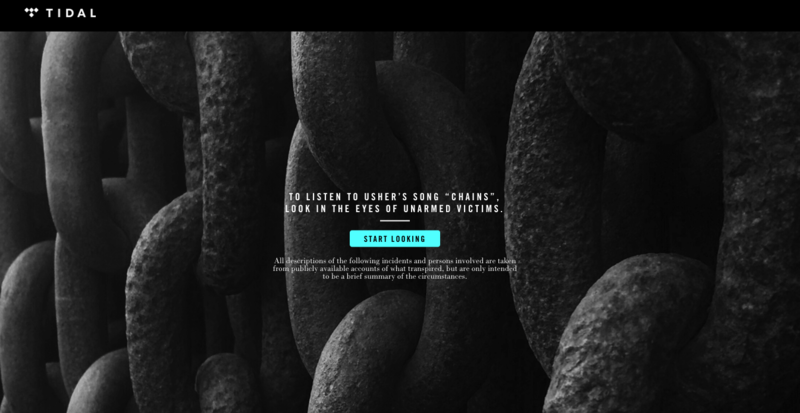 “Chains” music video, hosted on a website, urged viewers to keep on watching. It was iconic because the video does not simply show Usher singing and dancing. Instead, it shows photos of police brutality victims while the music plays. If viewers turn away, the music will stop. The site does this by asking users to turn on their webcams prior to watching the video (and it won’t go forward unless they do). The webcam uses facial recognition software that stops the music if it detects the user looking away. The interactive video received 500,000 viewers in just four days, with an average of two minutes and 30 seconds spent on average. It became a huge sensation across the web and made headlines, too. Talk about harnessing the power of video and holding someone hostage (or in “chains”) to ensure they’re glued to the screen for the entire video and boosting his personal brand. Video storytelling is a powerful medium because it combines dialogue, text, audio, and visuals in a single consumable item the brain can process in a short amount of time. Through emotions and empathy, any brand with a compelling video can create an authentic connection with their customers, helping them improve their brand’s recognition, relevance, and overall performance. These seven examples from the world’s top storytelling brands serve as excellent ways video remains a key part in building your brand story. It’s easier to evoke emotions when you’re engaging your audience’s senses through powerful visuals, content, and sound, helping you leave a longer-lasting impression. Razy Shah has over 10 years experience as a digital marketer and strongly believes in walking the talk. He is the editor of Indian lifestyle portal LittleIndiaDirectory.com. Razy is a member of the marketing committee at BritCham. He has a keen sense of adventure and recently climbed Mount Yushan, the highest peak in Taiwan.